I took up guitar for about a month...maybe even less when I was in high school. I am somewhat in awe of people who can play instruments well and effortlessly and sing. 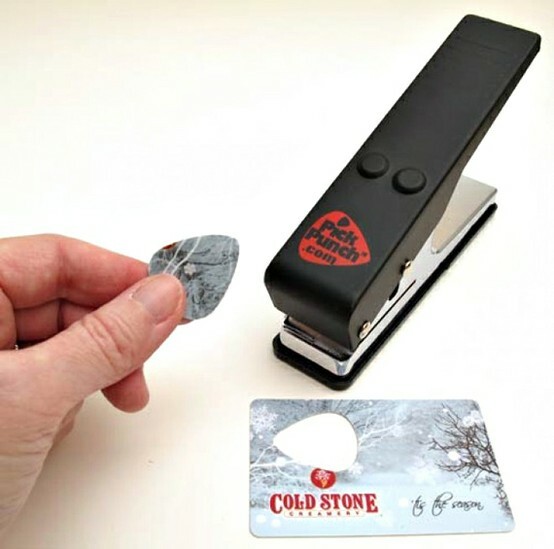 This pick punch would be the perfect gift for a guitar player. Anita, In my next life too.....I hope!